You spend a long time planning your wedding, but for most brides, the day itself passes in a happy haze, so there’s a lot to be said for having a wedding video, which you can replay at your leisure, giving you the chance to live it all again – and enjoy many of the bits of the day you missed completely. If your budget allows it, a professional videographer can provide a wonderful memento, editing hours and hours of film into a fabulous film, with you as the star attraction. Choosing your videographer is as important as choosing your photographer. Visit a selection, ask to see recent examples of their work and select one who style of production. Once you’ve chosen, make sure they know what results you are looking for. Talk about your ideas of how the end result will look and let them know if there are special moments or special people you really want to be included. If you want music included in the film, make sure your videographer has the relevant licences to be able to include it. The alternative – and less expensive – option is to borrow or hire a video camera and ask a friend or relative to film the day for you. It’s a big job and it can be tedious, so make sure you choose a real enthusiast who doesn’t have too much else to do on the day. It’s sometimes possible to have an amateur film professionally edited afterwards, though that can be expensive. 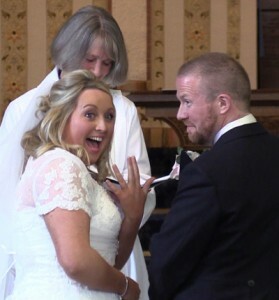 Whatever you choose, if you want the actually ceremony filmed, do remember you will need the permission of your minster or the registrar performing the ceremony. A professional music video on the day of your wedding. 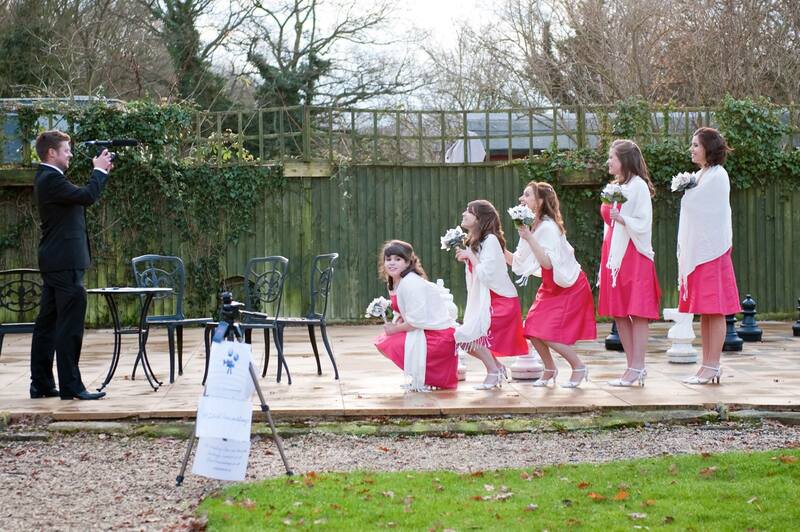 All you do is pick your favourite song and they do the rest – they’ll direct you and your guests to sing or mime to the music then edit it all together to make a music video. Don’t worry, the music and lyrics will be brought along to make it as easy for you as possible. It doubles up as a fun activity for you and your guests, especially in the time between the service and dinner when there is not always something planned. You will also receive the outtakes and blooper video, which is guaranteed to be hilarious. 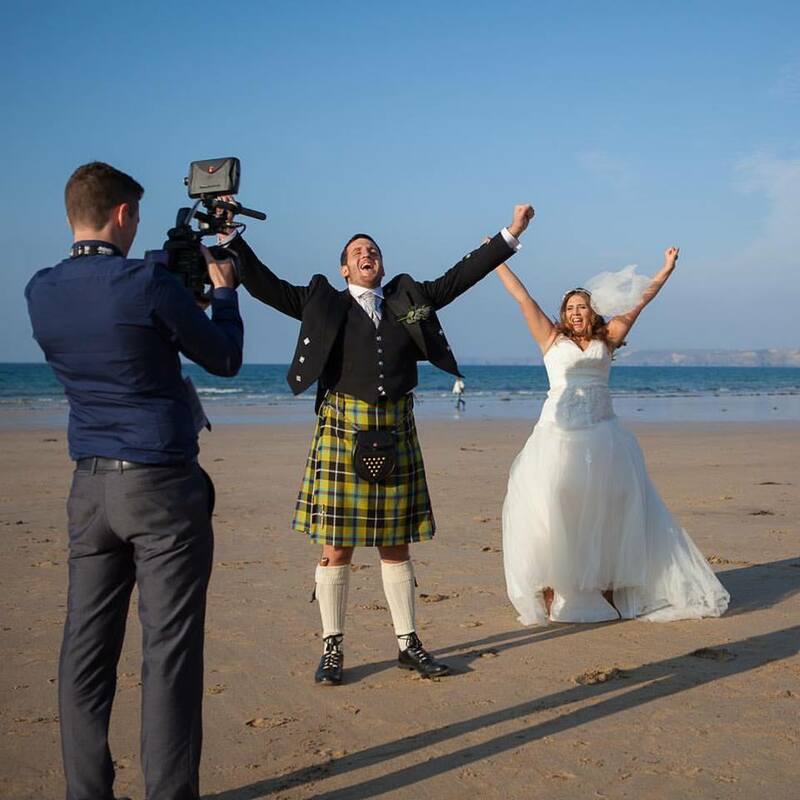 A team of experienced film industry professionals will capture the special moments of your day on video allowing you to relive your wedding day again and again. You’ll receive a fun and exciting video using stylish and cinematic camera techniques to tell the story of your special day. 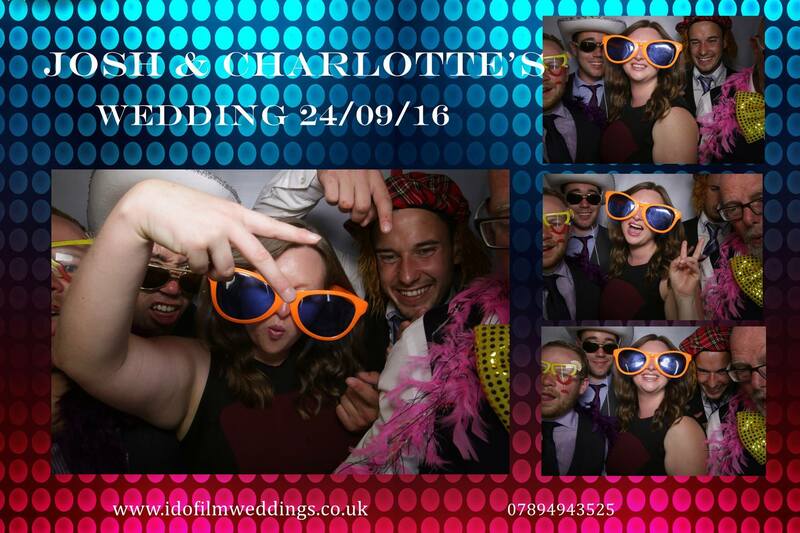 Why not include a PhotoBooth at your wedding which can also be a fun part of your day? A range of fun props will be supplied for you and your guests to wear to create amazing photos that you will remember forever. The PhotoBooth will be manned and each group will receive an immediate print out of the photos they had taken inside the booth (four images per print).